Are you ready for your biggest season yet? Powered by Frostbite engine, FIFA 18 brings to life the heroes, teams and atmospheres of the world's game like never before. The new chapter in Alex Hunter's story - He's back along with a star-studded cast of characters and top football talent. With the world of fotball talking about Alex, his future seems bright, but, as he will come to find out - the world of football isn't always fair. Real Player Motion Technology - The biggest step in gameplay innovation in franchise history, FIFA 18 introduces Real Player Motion Technology, an all-new animation system which unlocks a new level of responsiveness, and player personality – now Cristiano Ronaldo and other top players feel and move exactly like they do on the real pitch. New FUT season - Play with the most iconic legends of football in FIFA 18 Ultimate Team. 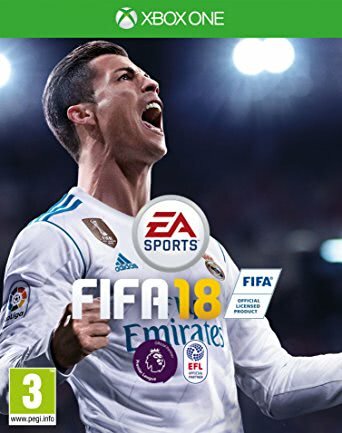 This is a digital key for Fifa 18 for Xbox One. The key is redeemable via Xbox Live. Activation is performed through your Xbox Live account or console.